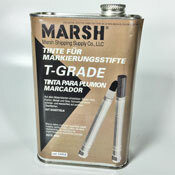 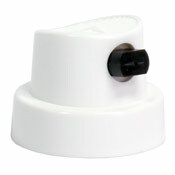 Best suited for porous surfaces such as marking on carboard cartons, paper, cloth, and wood. 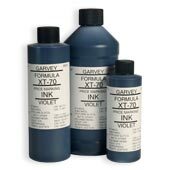 Permanent, waterproof and quick-drying. 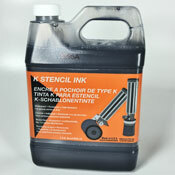 This is a petroleum-based (oily), carbon black ink perfect for soaking INTO surfaces.